The Melrose Warrior is our custom built Rugby League Wheelchair. 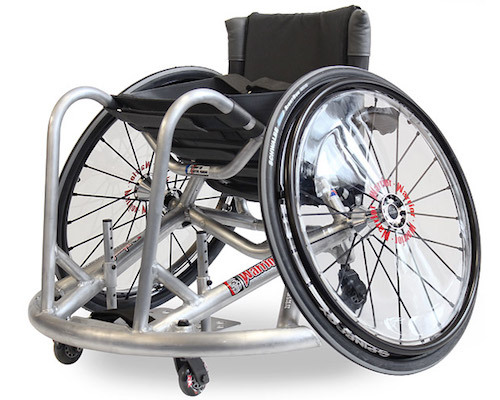 As a fairly recent sport the technology for these chairs has already been developed with the lightweight construction of the Melrose Basketball wheelchair and the strength of the Melrose Rugby wheelchair. These two ideas have been combined with a lightweight 1″ frame built with 1.5″ bottom rails. The bottom rails are further reinforced with 1.5″ tubes to the capped 1.5″ wing for additional strength.